Agios Gerasimos is the patron saint of Kefalonia. He was the offspring of the noble family of Notaras and his great-grandfather was the last Prime Minister of the Byzantine Empire. After being educated in the most respectable institutions of the time, Agios Gerasimos was ordained a monk at Mount Athos and then travelled to Jerusalem where he stayed for twelve years. In 1555 AD he arrived in Kefalonia and spent five years in a cave in Lassi as a hermit. In 1560, he moved to the plateau of Omala where he renovated the existing chapel and founded a convent which he named “New Jerusalem”. Nowadays the convent is more well-known as the convent of Agios Gerasimos and is the most sacred place on Kefalonia. The journey from Argostoli to the convent is 11 km. To reach it you pass by the village of Rosata where you can have a stop and enjoy the view of Lixouri and Argostoli. Then, you drive through the Robola zone and the villages of Fragata and Valsamata as well. After the plain of the 40 wells, you arrive at the convent. The convent is built in a stunning location surrounded by vineyards. The new church was built after the earthquake of 1953. Inside the church the saint’s relics are kept in a silver relic case. He died on 15 August 1579, but his nameday is celebrated on 16th August. It is also celebrated on 20th October because when his tomb was opened on October 1851 his remains were intact. He was buried again and the tomb was re-opened on 20th August 1852, but his relic was still the same. Inside the old church, there is the entrance of the saint’s hermitage. It can be accessed through a medium-size hole, but surprisingly enough everyone can go through despite their size. It is also worth saying that even though visitors might need to kneel while in the hermitage, they allegedly don’t get dirty from the muddy floor. Because of the saint’s popularity, this church is a global pilgrimage and many people are gathered annually to honour the saint’s memory. His relic is opened to public five times a year. On 16th August or 20th October, two litanies take place to take the relic to the old plane tree near the church that the saint planted by himself. 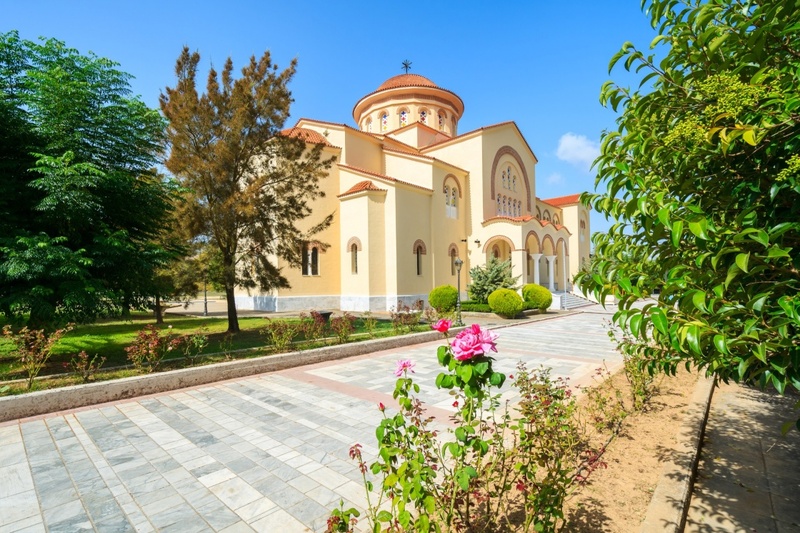 Despite your religion, it would be interesting to visit the convent and see its treasures or even join the litany as all these are part of the traditions and the cultural heritage of the beautiful island of Kefalonia!